I have FIVE shades in my collection right now and I do want to get a few more. They offer their matte liquid lipsticks in a bunch of different colours and I am certain there is a colour in there for every taste. You can check them out on their official page Golden Rose . Have you found your shade? 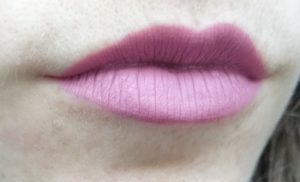 WHY DO I LIKE MATTE LIQUID LIPSTICKS SO MUCH? 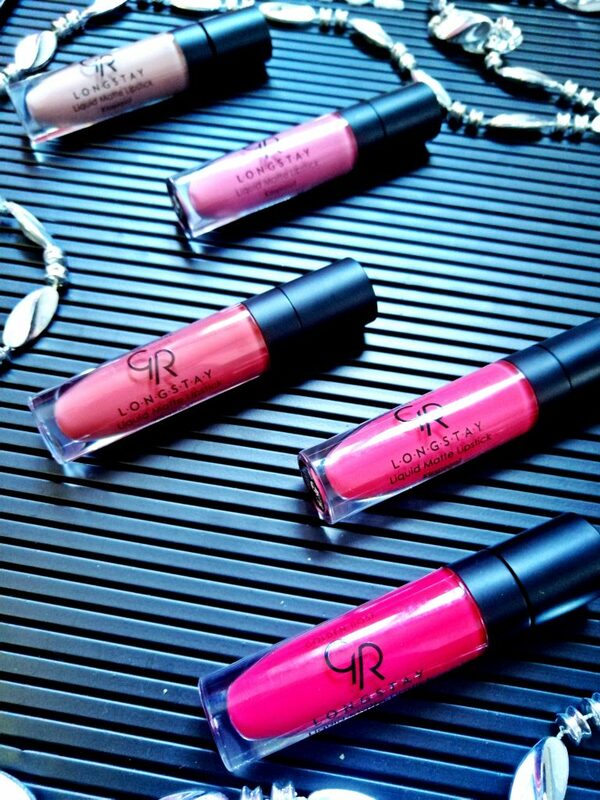 They are very pigmented, one swipe and the colour is on your lips! They are easy to apply. The applicator is a big spongy one and it is thin enough you can work with it. And I have thin lips! They are truly matte. 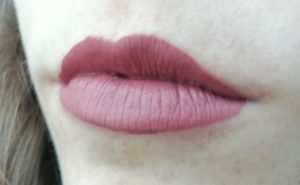 When they dry (which takes 2-3 mins), the look you get on your lips is really matte. AWESOME! They are longlasting. They stay on your lips. THE END. They survive a lot, even food and drink. 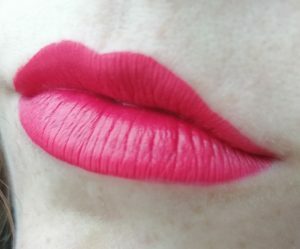 Okay, you cannot bite your lips and not eat some of the lipstick away, but I can kiss my boy without leaving any stain. And I can do that at least a couple of hours! They look great and you truly forget anything is on your lips! Do they have any weaknesses? Yes, they do. Well, I call them conditional weaknesses. Why? They don’t bother me so much, but I do have to mention them and for some they might be a deal breaker. Drying time – they need around two to three minutes so they really dry. 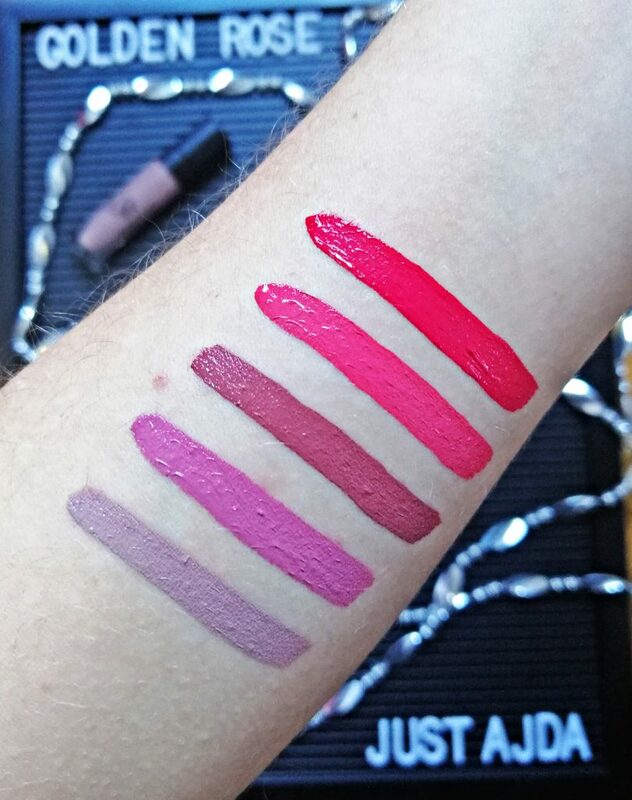 They are not really ‘apply-and-go’ kind of lipsticks. 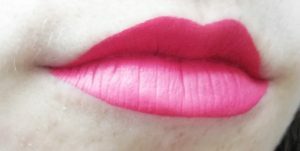 Dryness of the lips – as in any matte lipsticks it can be problematic if your lips are dry, since any mistake is very visible. 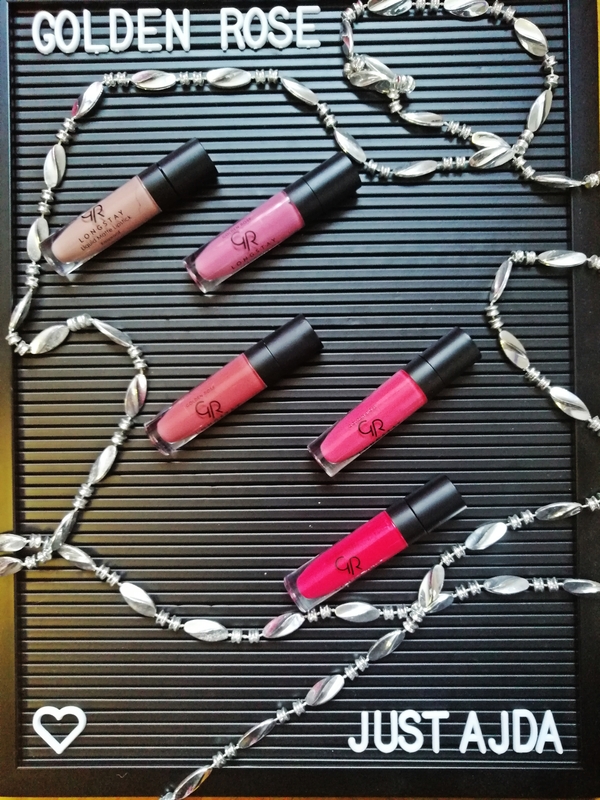 The smell – this lipsticks do have a significant scent and I know some girls are bothered by their vanilla scent. It doesn’t affect me and when the liquid lipstick dries, the smell dissapeares.